Many organizations have established the basic foundation of a data governance program and find themselves struggling with implementing data governance into their organization’s activities. This tutorial will address the execution of the data governance plans and the implementation of the data governance policies, standards, and processes into the normal operation of your organization. In 10 steps, the tutorial will outline a methodology for deploying data governance successfully in any organization of any size. The tutorial will also identify ways to customize common governance and stewardship models, roles and responsibilities to adapt to the unique realities of an attendee’s organization. Finally, the tutorial will cover real world issues, challenges and obstacles that many programs encounter – and how to avoid or mitigate them. Michael Jennings is a recognized industry expert in enterprise architecture and information management. He has more than 25 years of information management experience in various industries. Jennings speaks frequently on enterprise architecture and information management concepts and practices at major industry conferences. He is co-author of the book "Universal Meta Data Models" and a contributing author to the books "Building and Managing the Meta Data Repository" and “The DAMA Guide to the Data Management Body of Knowledge - DMBOK." Jennings was recognized with the 2013 DAMA International Professional Achievement Award and as one of Information Management Magazine’s 25 Top Information Managers of 2012. 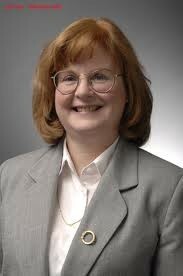 Anne Marie Smith, Ph.D. is Principal Consultant with over 20 years experience in enterprise information management. She is a certified data management professional (CDMP) and is a frequent speaker and author on data management topics. Anne Marie has consulted in areas such as: enterprise information management assessment and program development, data governance, data warehousing, business requirements gathering and analysis, metadata management, information systems planning and EIM project management. She has taught numerous workshops and courses in her areas of expertise. Anne Marie holds the degrees Bachelor of Arts and a Master's of Business Administration in Management Information Systems from La Salle University; she earned a Ph.D. in MIS at Northcentral University.